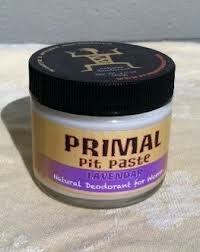 Primal Pit Paste Organic Deodorant Giveaway ~ 3 Winners! I have blogged about the importance of natural deodorant more than once. I am a very strong believer in staying away from conventional, anti-perspirant deodorants. I didn’t know my great-grandmother, but I am said to inherit her body structure, which is very short and round. She was supposed to have a very lively outgoing woman and I would have loved to have met her. She died of breast cancer and do you know one of the stories that is passed down about her death? She always claimed that she developed cancer from her deodorant. Now this was many many years ago, when things like this probably weren’t even thought about. Makes you think. Today, sciencentists have stated that they believe aluminum and parabens in these deodorants DO cause breast cancer, among other things. I urge you to google this topic! Today I’m introducing a Brand new company called Primal Pit Paste. Amy, a certified Crossfit instructor who is very interested in health and fitness, developed a formula that she tested until it came out perfectly. Primal Pit Paste was born from a quest to find natural and safe personal products for my family to use, that actually work. Made with just a handful of all natural and organic ingredients. Ingredients that we can recognize and pronounce and probably even eat! I’ve been using it for a week or so now and I am really really liking! It glides on smoothly with my finger and stays there. I don’t have re-apply, re-apply, multiple times a day like many natural deodorants. I have not tested it out yet with an extensive workout. I’m going to try and get hubby to do that. He is a Crossfit man himself and I may have finally hit the jackpot on finding him a manly deodorant that works! Primal Pit Paste is available online and moving into stores too! I received this produce for review. All opinons are my own. This giveaway will end on Sept. 18, 2012 at midnight EST. Winners will be drawn via rafflecopter. Once a winner is drawn I will contact them and they will have 48 hours to reply before I draw a new winner. Giveaway is open to anyone in the US / Canada and you must be 18 years of age or older. Giveaway not affiliated with Facebook & I release them of liability. Winner will be posted in the rafflecopter widget. I am using Mitchem...not natural. I would love to make the switch. I've tried a couple of different natural deodorants and am still looking for the one I want to keep! I have used some from time to time unfortunately my budget doesnt always allow for me to purchase them though. 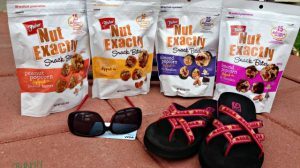 I buy them when I have a coupon! i've tried natural deo's before, but i never felt like they worked well so at this time, i am not using natural deo. but i would be interested in trying this! I tend not to use deodorant on most days. I usually rely on my diet, that is pretty natural. I use regular deodorants, and have never tried organic/natural ones at all, I hope to win so I can try this! No - the expense is too much and we live rurally so there's little options. Unfortunately not all the time. I HAVE to have an antiperspirant when I am working or I will be a sweaty underarm mess if you KWIM! Out in 100+ heat, you need something strong! I do tend to stick with unscented and sensitive formulas though. When I'm not working, I will usually use Tropical Traditions but I'm not too big on the scent I chose! LOL I'd love to try this one out! Hi,,I'm not using natural deoderants, would love to try..!! Thanks for this generous giveaway..!! Right now I'm using Toms but wouldn't mind switching. I do actually use Tom's of Maine deodorant since our naturopath told me to get rid of aluminum from our house a year ago. Would love to try something new - this looks intriguing. I've never used a natural deodorant before. I would like to make the switch but my frugal side tells me to finish up what I have on hand. I don't use it daily though, so I'm hoping that helps as far as the cancer concern goes. Your comment about your great-grandmother made me teary as I have a couple of people close to me going through breast cancer treatment. DH and I were just perusing the natural deod's at Akin's over the weekend. I happen to be a woman that sweats worse than most men so for me to find ANY deod/anti-persp. that works is anything short of a miracle! I would absolutely LOVE to try this! I run three days a week and do strength training two days a week so I could put it to the test....for real! :) Another awesome giveaway!! Please oh please pick me! i don't use natural deodourants, but really want to switch! Yes I mostly use natural. I have a homemade recipe I also want to try to make. I would love to find one that I really like! I currently use Crystal stick deodorant, but I'd love to try something else! I am not currently using natural deodorant. Always in search of a natural deodorant that works! I have not used natural deodorant, but would love to try it. I've considered giving it a shot once my current stick is done. Very natural. I actually use a salt crystal at the moment that I love!! It works great and its only salt!! I am using natural deodorants but I haven't yet found the one that would work good. I've never tried natural deoderant, but we are working on moving to more natural body products. I am and have been for over a year. I make my own. But I'd love to try this to compare! I'm not, but I've thought about it. I am currently using a Crystal spray deodorant. I really like it, but I'm open to trying other natural options. I stopped wearing my normal deodorant before my son was born - Didn't want it to get on him as he nuzzled up to nurse and sleep - and never looked back. I recently got a sample of Toms natural deodorant and I was skeptical at first but I actually am starting to really like it. I would like to lean toward all natural products in the future. We're using the cotton deodorant from Trader Joe's. The think is, the closest TJ to us is 1.5 hrs away. Last time I was on a business trip that took me close to a TJ, I stocked up on it b/c I knew I liked it. Then my husband started using it, and now we are on our last tube! No, I am currently not using natural deodorants. Would love love to try this. 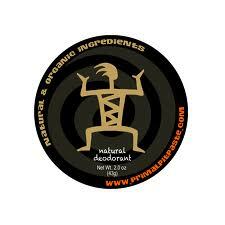 Currently I do not use natural deo because I have found nothing works for me, I sweat and smell! i started using crystal deodorants a couple of years ago. they are fantastic. No, but I'd love to give it a try! I currently use a natural deodorant that I made myself from coconut oil, baking soda, arrowroot powder and tea tree oil. I'm not currently using natural deodorant but I am interested in trying it! I am wanting to be a more green mama. I sweat a lot so I can't seem to give up the antiperspirant. I don't know of a natural one, so I use regular antip/deodorant most of the time. However I do have Toms and this spray mineral natural deodorant that I used on colder days, or use with my regular antip on very hot days. I loathe commercial deodorant but have a hard time finding a natural one that actually works. Right now I'm using desert essence and it's better than my last one but by the end of the day it still doesn't hold up as I'd like. I'd love to try the pit paste! Yes, currently using a few natural, organic ones. Currently, I use just coconut oil. Which works well unless it gets really humid, then I do need to reapply often! I use natural deodorant in the fall, winter and spring. But, come summertime, I *have* to switch over to the chemical stuff. I'm just that stinky!! I'm using the rock from Basin... still can't convince hubby but maybe a new product would help! Yes I am using natural deodorant! I try to use natural stuff but it doesn't always work for me. Maybe I should stick with it for longer since I've heard it takes a while to get all the chemicals out of your system. I am not using natural deodorants currently. I am just growing out of my uber-sweaty puberty phase and I think I no longer will need prescription strength deodorant and can start using all natural ones! This contest would be a great opportunity for me to try it out! No, I am not, I haven't found any that works for me yet. I have started using natural deodorants. I haven't found one that I love yet, but I am still happier that I've chosen more natural deodorants! I tried natural deodorant several years ago but wasn't completely happy with the results. I would love to try the Primal Pit Paste. I don't, but I have heard the regular ones might be hazardous, so I would like to try this. i've tried a couple different natural deodorants but didn't like them at all. One was very sticky, and the deodorant crystal just didn't work well. i'd like to find one that works!! Yep, I do! But I'm always trying new ones to see if I like one better! I am not, however my 10 year old is! I don't think I'm using natural deodorants, it doesn't say so on the product. I have used one in the past, but I am not currently using a natural deodorant. I haven't tried natural deodorants yet. I sweat really bad though and this pregnancy isn't helping it! I would love a natural alternative that works great! Even the "clinical" deodorants don't work for me! Yes, I am using Tom's roll on. They pretty well except while working out-but who cares about that, as you bathe afterwards anyway. I have never heard of this brand but would love to try it. I switch up to find the best I can. I use Kiss My Face Active Life Fragrance Free. I would love to win the unscented primal pit paste. Yes, I am using Tom's crystal confidence. I have never used one before but would like to try! I'm using tom's right now. I've had limited success with the Crystal and with straight baking soda in the past. Not right now. I've tried some that haven't worked very well and would love to try this! It's the one thing that I really want to green up about my personal hygiene habits right now. I'm using a natural deodorant I picked up at the grocery store. I'm not, but I"m moving to live more naturally, so I'd love to change! I do not currently use natural deodorant, but I sort of laughed as I read the headline from this sweep because my sister in law and I were JUST talking about how she thinks her deodorant is breaking her out! This would be a PERFECT win for me to pass to her!!! I've never used natural deodorants to the best of my knowledge. I believe i am, i use Jason. I use Tom's. Thanks for the contest. I have never tried natural deodorant. I received a Tom;s sample but I have not tried it yet. Congratulations to the three winners! Your new deodorant was shipped out today! For everyone else, you can still order yours online at www.primalpitpaste.com Thank you!